I have a French installation of wordpress, and correct general settings in French. Could you help me to fix that please? Hi, Caroline. Sorry you’re experiencing this. Could you please share a link to where I can see this happening? can I send you a private message with access codes ? Yes, but not via email. Come to our forums to reply and mark your reply Private. Let me know if you have trouble with that. you can see here that I still have an english datepicker instead a franch one however the wordpress setting is on fr_FR. Where can I change the datepicker text ? Caroline, was “you can see here” supposed to be linked text? If yes, it didn’t come through. Also, were you going to send login details via Private Message? it’s weird, it’s open since Tuesday. Thank you. 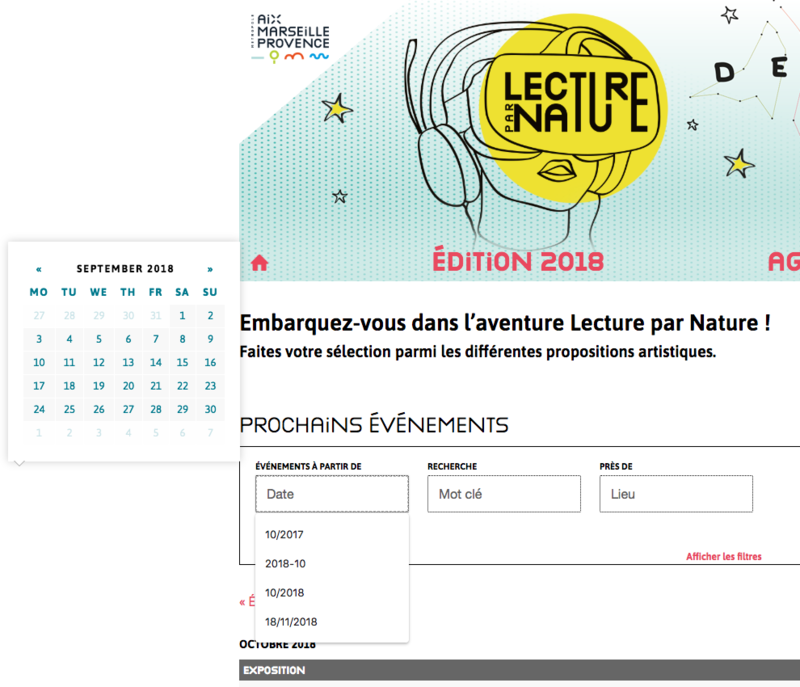 The link to your calendar is http://lectureparnature.fr/?post_type=tribe_events – I thought the issue was that you had an inline link, which wouldn’t have come through via email replies (and I cannot tell which replies come through via email). I was able to recognize what the issue is and reproduce it on my own testing site and therefore logged the bug internally. I marked this thread as Pending Fix, which means it should receive a reply once the applicable fix has been released. I cannot guarantee when it will be fixed as it’s in the development team’s hands now. They need to assign it, code it, test it, and schedule it for release. ok I wait for the answer. Just wanted to share with you that a new release of our plugins is out, including a fix for this issue.